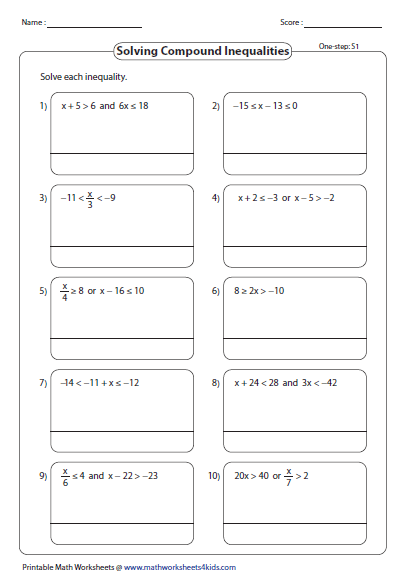 Each section (except the first section) contains three levels of compound inequalities worksheets based on either solving or graphing or both. 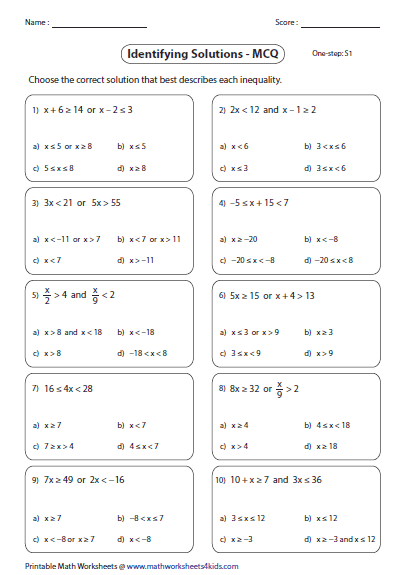 The levels are classified based on the number of steps that required solving compound inequalities. No solving required. 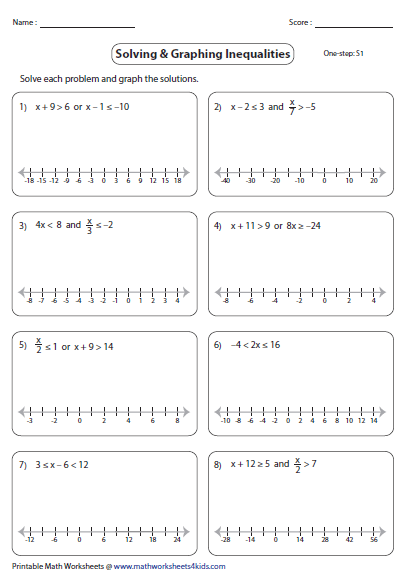 Graph each basic compound inequality in a number line at the correct interval. Solve each compound inequality and find the solutions. Both 'and' and 'or' cases are included. 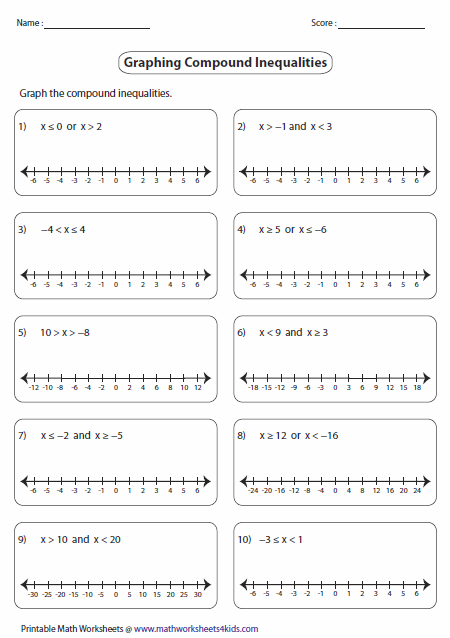 Solve each compound inequality and graph the solutions using the number line. 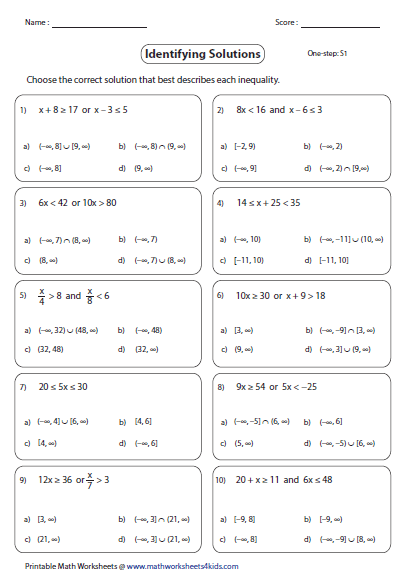 Each worksheet contains 10 multiple choices (only eight in multi-step) based on identifying correct solutions for the compound inequalities. 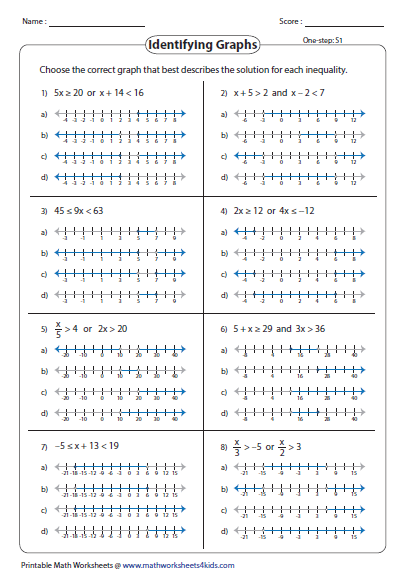 Choose the correct graph that best describes the solution for the compound inequality. Identify the correct solution interval for each compound inequality.